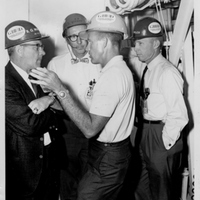 While visiting the Cape Canaveral Air Force Station Launch Complex 14 Launchpad before the launch of the Faith 7 Mercury-Atlas mission, astronaut Astronaut listens to Günter Wendt (1923-2010) of McDonnell Aircraft Corporation, the man who supervised spacecraft preparation on the launchpad. Wendt was famous for his meticulous standards, which won the trust of the astronauts. 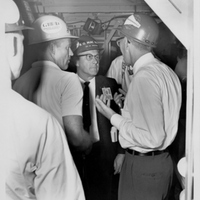 General Dynamics/Astronautics Operations Manager B. G. MacNabb is seen in the center of the first photograph. 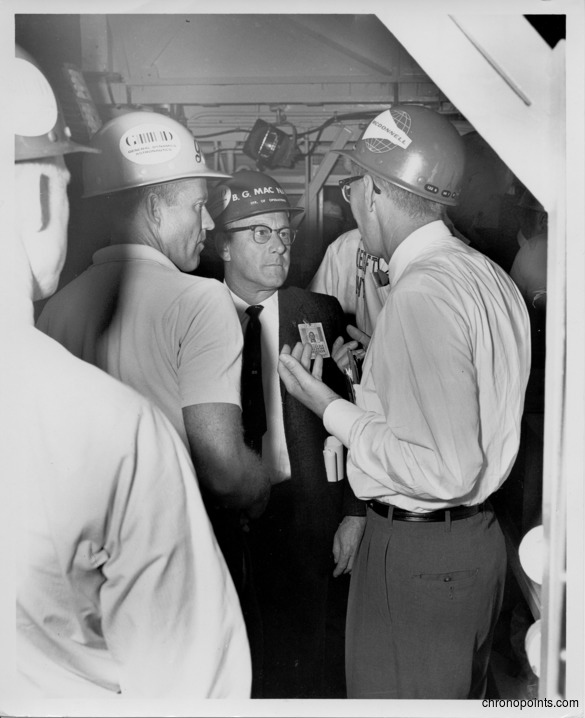 In the second photograph, MacNabb is pictured on the left, Wendt is seen in the center, and Cape Canaveral Air Force Station Launch Complex 14 Manager Dr. Calvin D. Fowler is photographed on the right. 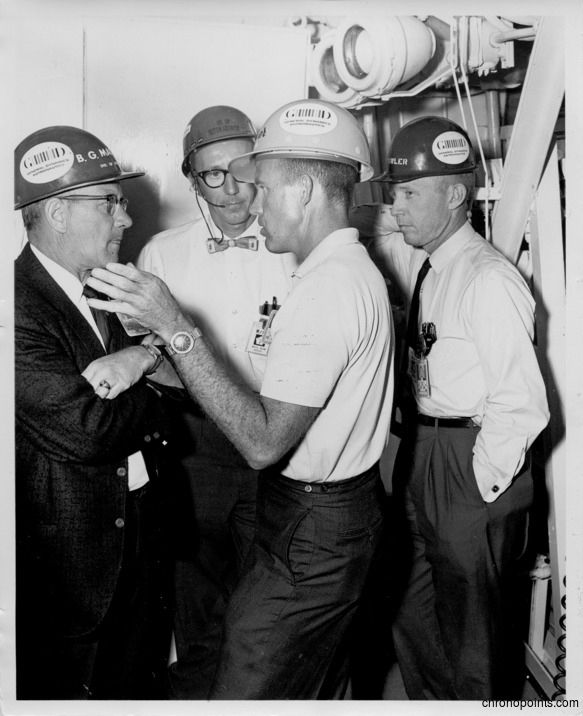 “Astronaut Gordon Cooper at Cape Canaveral Air Force Station Launch Complex 14 Launchpad.” RICHES of Central Florida accessed April 19, 2019, https://richesmi.cah.ucf.edu/omeka/items/show/4998.